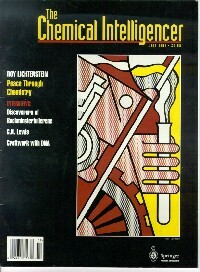 This article was first published in The Chemical Intelligencer, July, 1995 (Vol. 1, No. 3), edited by Istvan Hargittai (Institute of General and Analytical Chemistry, Budapest Technical University) and published by Springer-Verlag New York Inc. The picture of EJA with RBF (credit card in hand) appeared in the original, along with the small portrait at the end. Other artwork and hyperlinks were added for this version. The text is unchanged from the original. Reproduced with EJA's permission. The BFI much later created its own reproduction. Systematic chemical nomenclature has always been corrupted - or enhanced, depending on your point of view - by the prevalence of eponyms. The fact that C60 was named buckminsterfullerene could be construed as (a) an erratic departure from the etiquette of attributing discoveries to individuals (b) trivial, or (c) the validation of an intuitive vision of a designer of geodesic domes. H.W. Kroto said that the newly discovered carbon cage molecule was named buckminsterfullerene "because the geodesic ideas associated with the constructs of Buckminster Fuller had been instrumental in arriving at a plausible structure" . It is becoming, in Fuller's case, that he made no claim; the honor was bestowed by others. The Israeli poet Yehuda Amichai once described naming as "the primary cultural activity," the crucial first step anyone must take before embarking on thought. John Stuart Mill declared that "The tendency has always been strong to believe that whatever received a name must be an entity or being, having an independent existence of its own." When Harry Kroto and Richard Smalley, the experimental chemists who discovered C60 named it buckminsterfullerene, they accorded to Richard Buckminster Fuller (1895-1985), the maverick American engineering and architectural genius, a kind of immortality that only a name can confer - particularly when it links a single historical person to a hitherto unrecognized universal design in the material world of nature: the symmetrical molecule C60. Smalley's laboratory equipment could only tell them how many atoms there were in the molecule, not how they were arranged or bonded together. 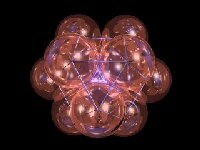 From Fuller's model they intuitcd that the atoms were arrayed in the shape of a truncated icosahedron - a geodesic dome. Only after novel phenomenon or concept is named can it he translated into the common currency of thought and speech. This newly discovered molecule, a third allotrope of carbon - ancient and ubiquitous - transcends the historical or geographical significance of most named phenomena such as mountains of the moon or Antarctic peaks and ridges. Cartographers named two continents for Amerigo Vespucci, because he asserted (as Columbus did not) that the coasts of Brazil and the islands of the Caribbean were a landmass of their own and not just obstacles on the route to Asia. C60 is a far more elemental discovery; it is more ancient; and it pervades interstellar space. Fuller has no reason to envy Vespucci. Buckminsterfullerene was discovered by chemists who were not looking for what they found. Kroto was looking for an interstellar molecule. Smalley said he hadn't been very interested in soot, but they agreed to collaborate. Smalley's laboratory at Rice University had the exquisite laser-vaporization and mass spectrometry equipment to describe the atoms of newly created molecules. Scientific experimenters investigate nature at a level where revelation is often unpredictable and sometimes capricious. This is a phenomenon that Fuller (who was not a scientist, but a staunch defender of the scientific method) generalized into the dogmatic statement that all true discovery is precessional. For Fuller, the escape from accepted paradigms is precessional. (Vespucci precessed; Columbus did not.) Fuller had a lifelong preoccupation with the counter-intuitive, gyroscopic phenomenon of precession. He defined precession, quite broadly, as the effect of bodies in motion on other bodies in motion. Every time you take a step, he said to me many times, you precess the universe. For that matter, one may say that Kroto and Smalley, in recognizing the shape of the C60 molecule made a precessional discovery. Earlier, Osawa, in a paper published in Japanese in 1970, had described the C60 molecule with the truncated icosahedral shape; so had Bochvar and Gal'pern in 1975 when they published a paper in Russian on the basis of their calculations. They all recognized the novelty of the molecule and conjectured that its structure should afford great stability and strength. However, neither Osawa nor Bochvar and Gal'pern had experimental evidence, nor did they consider their result important enough to follow up their finding with further work or to convince others to do so. Curiously, in 1984 a group of Exxon researchers made an experimental observation of C60 along with many other species. They failed, however, to discern the shape of this species and did not recognize its special importance. These precursors to Kroto and Smalley apparently lacked the requisite - precessional - insight to appreciate the significance of what they had found. Kroto and Smalley's precessional insight was best manifested by their decision to give a name to the C60 molecule of the truncated icosahedral shape. As a longtime close friend of the Fuller family, as his collaborator on his two volumes of Synergetics (1975, 1979), and as a trustee of the Buckminster Fuller Institute (BFI), I rejoiced vicariously in the molecular celebration of his name. I preserved the copy of its first publication in Nature (November 1985), with the C60 molecule on its cover, and, with the compulsion of an archivist, I documented the proliferation of reports on this molecule in the professional literature for some while thereafter. While I sensed that Professors Kroto and Smalley had granted the name for perhaps trivial reasons, I felt that there was a greater resonance between C60 and Fuller's writings and design philosophy than the mere congruence of the topology of that molecule and Fuller's geodesic domes. Fuller did not develop his peculiar geometry in order to build a dome. Of course, he delighted in building domes and built a great many of them (though all were replicable, no two of his prototypes were the same), and he succeeded admirably in containing a greater volume of space in an enclosed stable structure than any architect or engineer before him had ever done. (He had a dozen or so patents relating to his domes.) But I knew that Fuller was one of the most celebrated but least understood original thinkers of his day. Fuller did not develop his original great-circle coordinate geometry in order to build domes; he built domes because otherwise people would not understand the geometry - which rejected the XYZ coordinate system of standard mensuration. He advanced synergetics as nothing less than a new way of measuring experience and as a new strategy of design science which started with wholes rather than parts. Buckminster Fuller and E.J. 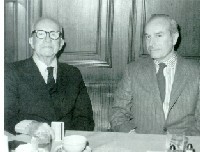 Applewhite at a midnight supper at the Waldorf-Astoria Hotel celebrating their completion of the final galleys of Synergetics. Fuller in his own hand has inscribed the mat of this photograph as follows: "Entering the home stretch of the 1/2-century long, Synergetics galley race. Although I felt that it was presumptuous for me, as a nonscientist, to address Kroto and Smalley on Fuller's behalf, I nevertheless offered them copies of Fuller's Synergetics books and drew their attention to collateral aspects of Fuller's work that might be relevant to their major discovery. I was careful to disavow any claim for priority of discovery on Fuller's behalf. He did not anticipate C60 -- but its discovery did validate his intuitions that geodesic design plays a more significant role in nature's arrangements than had hitherto been recognized. Fuller would have been less surprised than any of us to learn that the 60-atom array possessed an extraordinary property of stability. Although he regarded the hydrogen atom as the simplest - and hence the most beautiful - design in nature, Fuller had a lifelong interest in the carbon atom, and, in many of his writings and lectures, he celebrated J.H. van't Hoff's 1874 concept of the tetrahedral configuration of carbon bonds. 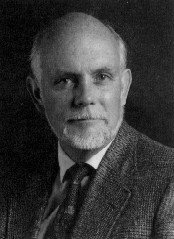 Some years later, on March 21, 1991, on a visit to Houston, I had the opportunity to call on Professor Smalley in his laboratory at Rice University and pay him homage, specifically on behalf of the Fuller family and the BFI - expressing our gratification in the luster that he and Professor Kroto had added to Fuller's name. He greeted me with a hospitality, a sympathy, and an enthusiasm matching the cordiality of the correspondence I had initiated with Professor Kroto at the University of Sussex in Brighton. A sense of destiny permeates his large, comfortable office; he told me I was sitting on the very couch where he and Kroto christened the new molecule on September 9, 1985. He told me about how he and his colleagues had sat up all night making models out of Gummy Bear jelly beans and paper cutouts of pentagons and hexagons. I recalled that Fuller as a child had made models out of toothpicks and dried peas, and he had always felt that geometry should be taught as a hands-on laboratory discipline. Smalley said that he had overcome any initial reservations he might have had to Kroto's proposal to name C60 buckminsterfullerene. For one thing, the standard IUPAC name for the molecule was impossibly awkward and difficult to read, much less speak. When I asked him why he found the name so appropriate, he said that it was because it conveys in a single word so much information about the shape of the molecule, and he found a happy congruence in the fact that its 20 letters match the 20 faces of the icosahedron - a letter for each facet. All even-number carbon cluster-cage molecules are now termed fullerenes. The root name Fuller lent itself to generic applications with the various other conventional suffixes, producing not just fullerenes, but fulleranes, fullerenium, fullerides, fullerites, fulleroids, fulleronium, metallofullerenes, and so forth. Colloquially - even affectionately - they are subsumed as buckyballs. As Smalley escorted me out of the laboratory complex on that steaming hot March afternoon (Houston is like that), I was exhilarated by his conviction that C60 is one of the most stable and photoresistant molecules known to chemistry, and also probably the most proliferating, and possibly the oldest. A new branch of organic chemistry indeed - and countless textbooks had instantly been rendered out of date. 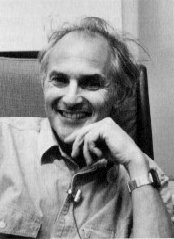 After a few letters objecting to the name buckminsterfullerene had appeared in the columns of Nature, Harry Kroto gallantly defended its choice on the grounds that no other name - none of the forms of the classic Greek geometers - described the essential three properties of lightness, strength, and the internal cavity that the geodesic dome affords. To the protest that nobody had ever heard of Fuller, he submitted that the name would have educational value. A fine exercise of onomastic prerogative. Fuller was not a chemist. He was not even a scientist, and made no pretension of adhering rigidly to an experimental and deductive methodology, and he did not follow the rules of submitting published papers to peer review. But he had an extraordinary facility for intuitive conceptioning. Jim Baggott, in his superb account Perfect Symmetry: The Accidental Discovery of Buckminsterfullerene  quotes Fuller in an epigraph: "Are there in nature behaviors of whole systems unpredicted by the parts? This is exactly what the chemist has discovered to be true." Baggott goes on to describe how Fuller had derived his vector equilibrium (cuboctahedron, in conventional geometry) from the closest packing of spheres of energy. What he had was a principle that led to the design of geodesic structures capable of a strength-to-weight ratio impossible in more conventional structures. Fuller had a highly generalized definition of the function of architecture that put him outside the scope of the academicians' view of their discipline. Bucky said "architecture is the making of macrostructures out of microstructures." Baggott concludes: "Fuller's thoughts about the patterns of forces in structures formed from energy spheres had led him to the geodesic domes.... That his geodesic domes should serve as a basis for rediscovering these principles in the context of a new form of carbon microstructure has a certain symmetry that Fuller would have found pleasing, if not very surprising." Kroto, H. W. Nature (London) 1987, 329, 529. Baggott, J. Perfect Symmetry: The Accidental Discovery of Buckminsterfullerene; Oxford University Press: Oxford, 1994. E. J. APPLEWHITE grew up in Newport News, Virginia, except for two years spent in Tahiti. He graduated from Yale University in 1941 and later went to the Harvard Business School. After Navy service on an aircraft carrier, he worked with Fuller in a housing project in Wichita, Kansas. He joined the CIA in 1947 and served in Bonn and Beirut. In 1979 he completed nine years of collaboration with Fuller on his Synergetics books. He describes himself as a layman.